Just Ask D: 10 Reasons to Hire a Business Coach Now! 10 Reasons to Hire a Business Coach Now! Based on their own experiences, 10 successful founders from Young Entrepreneur Council (YEC) discuss some the benefits to hiring a business coach. Achieve Your Full Potential! 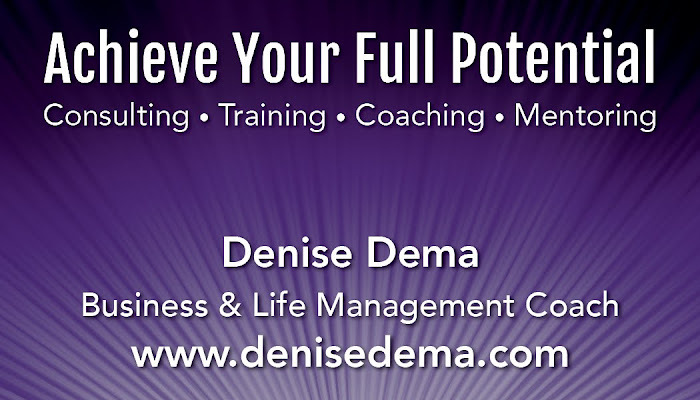 Book a complimentary session at http://www.denisedema.com to get the support you need to excel in your professional and personal life.